A new synergy born in Venice, this time with the Ca’ Foscari University and the Kids University project! The new Ca’ Foscari and Pleiadi competition is open online in the context of Kids University Venezia 2018. It is aimed towards primary and secondary school classes who will be able to win an array of prizes by testing themselves on the themes of refuge and accessibility. Letizia Galli was invited to participate in this beautiful initiative, with her engaging and exciting illustrations. 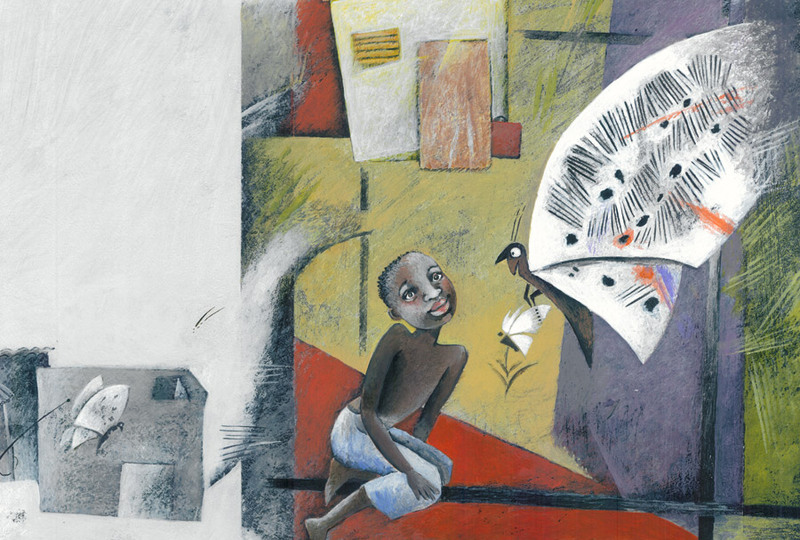 Starting with the drawings taken from the book, ‘Come una farfalla’ – ‘Comme le papillon’, Points de Suspension Editore, Paris – the children will have to imagine welcoming into their class Abdou, the story’s protagonist, after having left Africa to move to Italy. The book tells a story inspired by the painful fate of many youths who have tried to leave their country of origin by hiding in the landing gear of planes, lured from their countries of origin by the dream of a better life. Amongst the very few to make it out alive was Bouma Wade, a miraculous survivor of the 1999 Dakar-Lyon flight. 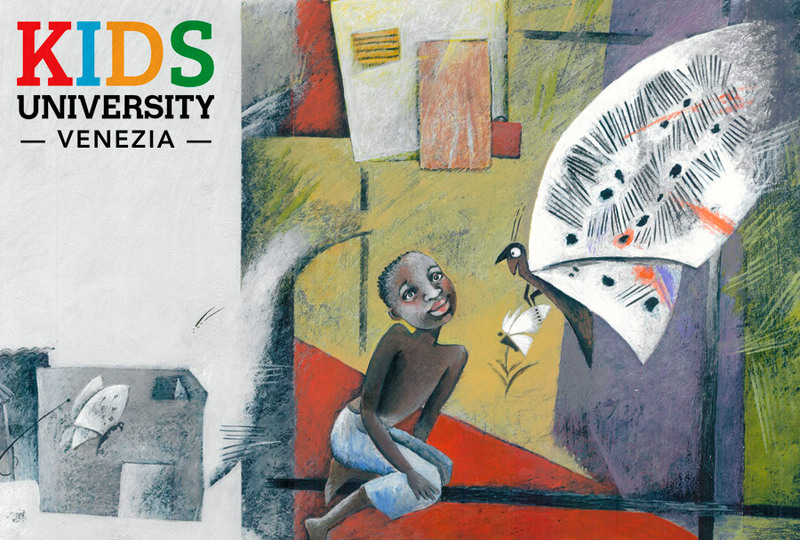 The original drawings of ‘Comme le papillon’ and 11 other books on the theme of refuge and inclusion can be seen at the Children’s Provincial Institute of Santa Maria della Pietà until 15th April.